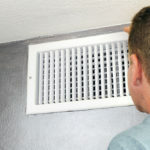 We provide a free inspection to every air duct inspection to every commercial space. We do this as part of our commitment to provide only cost effective solutions and not overcharge our customers. After calling our service you will be connected with one of our friendly dispatchers. They will then schedule an appointment with you and have a technician ready to come to you at your convenience. The technician will get to the scene and perform an inspection. This is done to make sure you get the service you need at the best price. Only if you approve of the service after hearing the explanation of what needs to be done and the price associated with the service will the technician begin his work. Here at Organic Air Duct Cleaning we are passionate about providing services that help our local businesses thrive. We believe health is vital for a business because you and your employees will only perform at your best if you are healthy. The air you and your employees breath may be circulated throughout the HVAC systems more than 10 times in one day, and with every circulation more dirt and debris may build up in your heating and cooling systems. The air you breath becomes more polluted over time and with the build of dirt and debris. With indoor air pollution an ever growing problem in the United States, it is now more important than ever to take steps in making sure the air you breathe is clean. That is why Organic Air Duct Cleaning provides commercial services so that we can help our local community’s health and productivity thrive.